According to today's reports the Samsung Galaxy S4 will initially turn up with a Snapdragon 600 processor inside 70% of the devices because Samsung is not confident they can make enough of the Exynos 5 Octa processors fast enough! Apple has bought indoor mapping company WifiSLAM for $20 million. The purchase will most likely allow Apple to better Google's mapping solution for iOS, the latter of which doesn't currently offer their indoor maps to people using Apple's platform. As and when Apple catch up with Google we expect Google will flick a switch and the feature will be available on iPhones too! Microsoft's Windows 8 app store has now hit the 50,000 app milestone! Microsoft have also announced updates to the Mail, Calendar and People apps for Windows 8 users. There's a load of new features which you can check out here! Barnes and Noble have announced that their devices will soon offer in-app purchases! If you wondered why this is important then check out this post! The research group iFixit have torn apart Blackberry's Z10 and they think it's excellent. The guys said that the phone is very easy to fix and they gave it a repair-ability score of 8 out of 10. The guys said that, "The BlackBerry Z10 is proof that smartphones can be thin, easily-repairable, and have replaceable batteries." That's what we like to hear, although they did reiterate that you shouldn't drop it from ear height because that'll probably break it! GameStick's creators have announced that the device will be fully compatible with XMBC and so it'll happily function as a mini media centre just like the OUYA will! 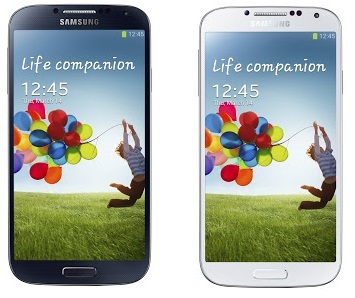 Three UK have announced that Android 4.1.2 is rolling out for their Samsung Galaxy S2 users! The wait is finally over! Evernote has been updated to version 5 with a slew of new features, head to your app store of choice and grab the update! SamMobiles believe there will be a Samsung Galaxy S4 Mini launching this summer with a new Exynos 5 processor called the 5210. Basically the guys don't know what the processor is, but they've speculated it could either be a pair of high and low powered dual-core processors working together or it could be a mere dual-core processor.